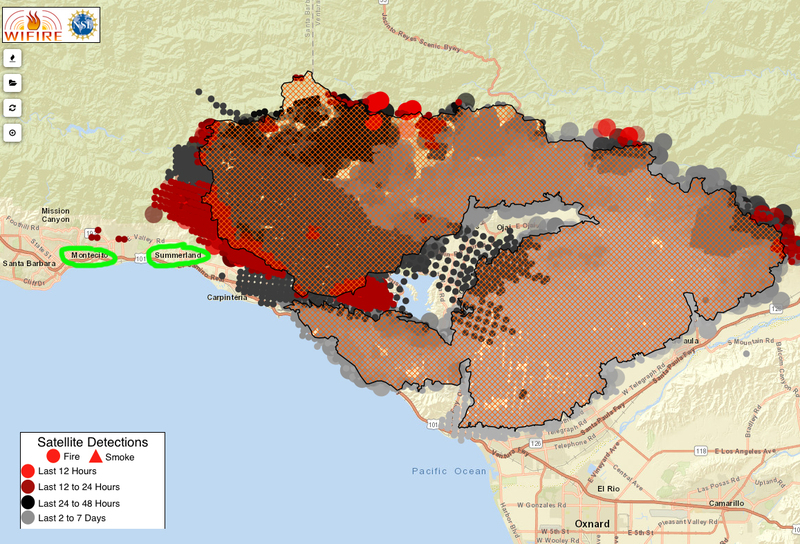 My oldest daughter is on mandatory evacuation from the house she rents in Summerland (see map). She was up here with us so she had some friends grab her valuables and is waiting to see if the fire reaches her house. My youngest daughter attends Westmont College in Santa Barbara (in the hills of Montecito) and the school is on mandatory evacuation right now as well. Everyone in the city is wearing masks because of the smoke and ash– air quality is at an all time low. If you haven’t seen footage of the fires… here’s an INSANE video of it when it was raging near the Getty Museum in Los Angelos (Looks like something out of a Roland Emmerich film). The fires are bringing about many opportunities for ministry. My daughters’ church is a little outside the fire zone and is currently providing housing for evacuees. California’s a nice place to live, but when it doesn’t rain even once from May to October… things tend to get pretty dry. Please pray for the lives being impacted all over the state. So sorry to hear about so much destruction. Have been praying for the all the people in California – firefighters, police, and those being forced to leave. So glad your family is safe. My God bless you with a great Christmas this year in spite of all the sadness.